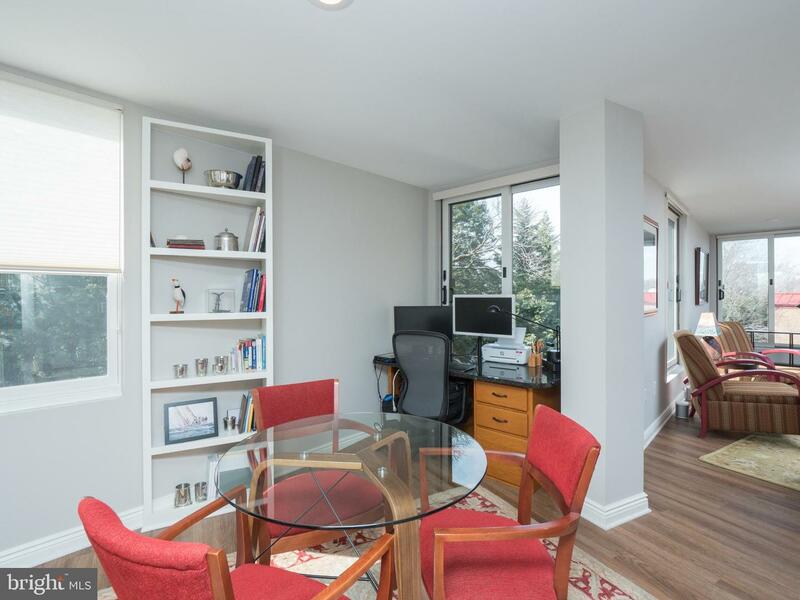 Spectacular water view condo in The Newport Condominiums on Burnside St in Eastport. 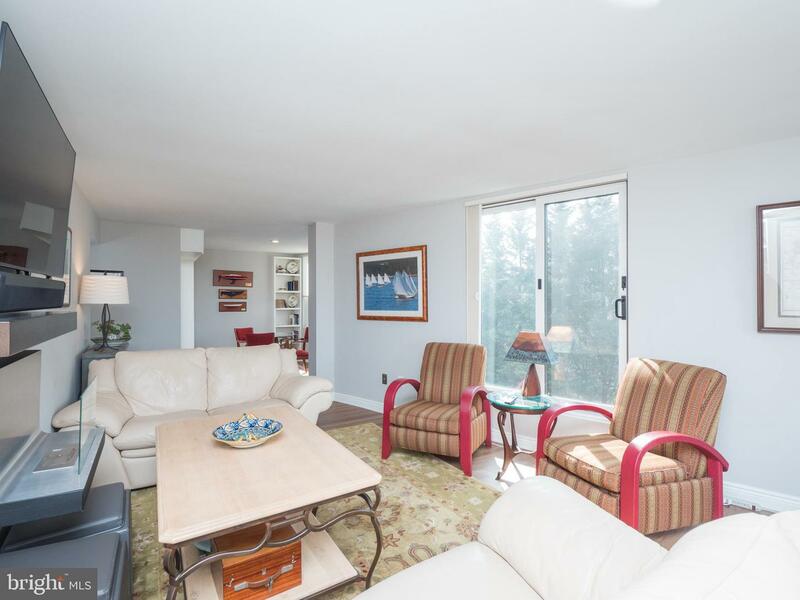 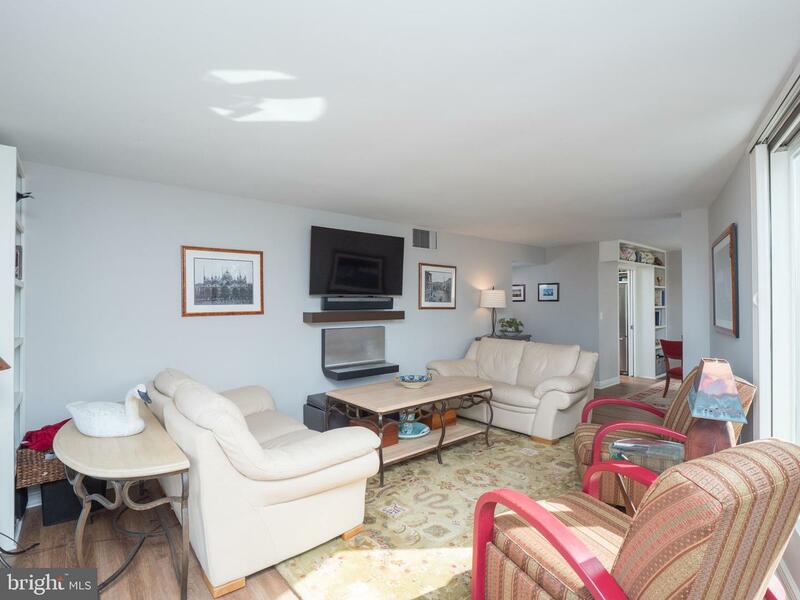 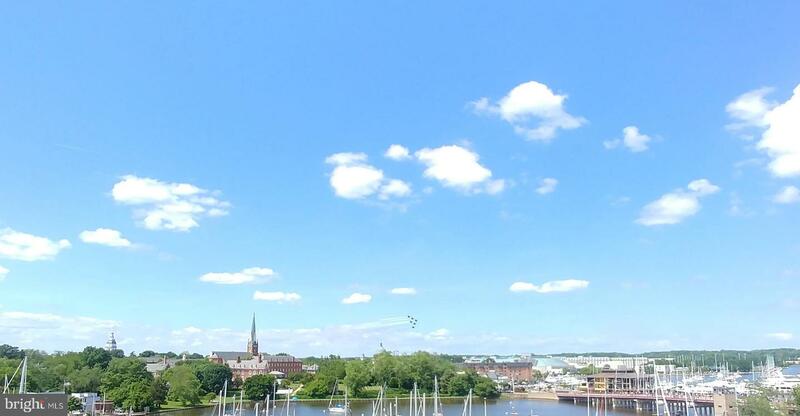 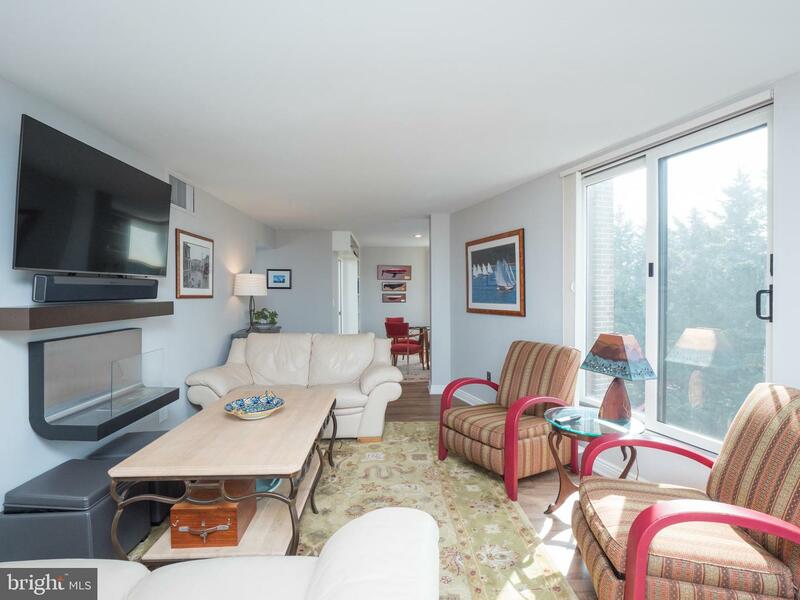 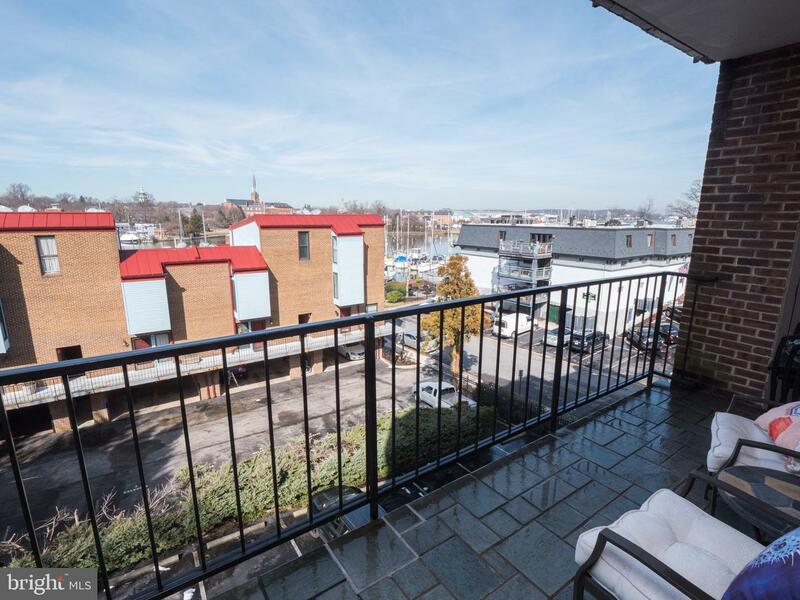 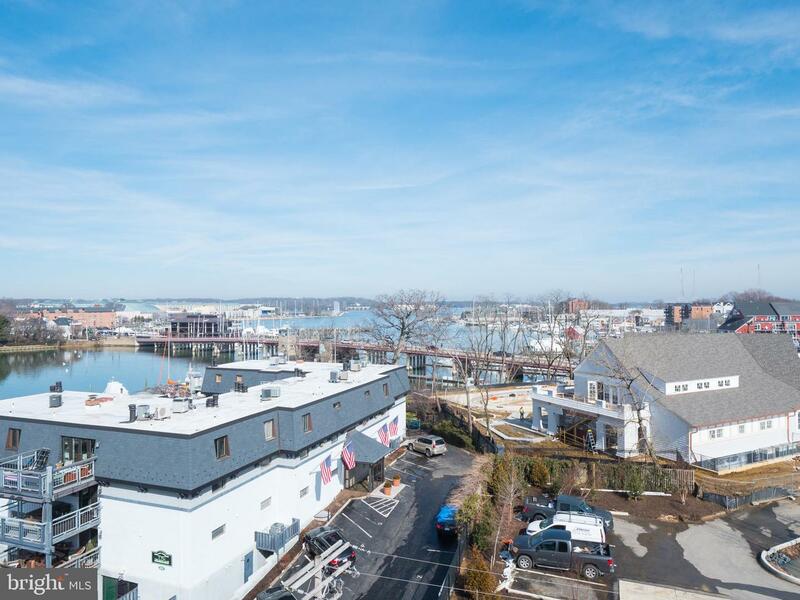 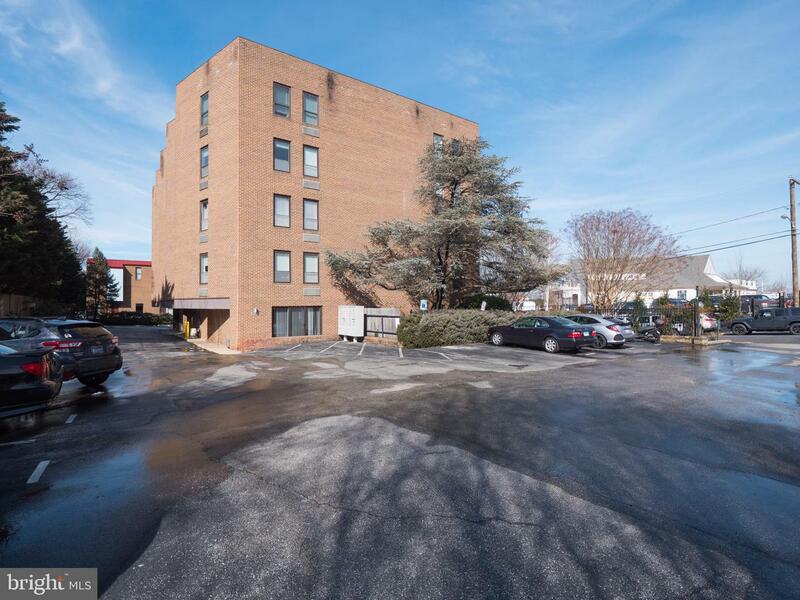 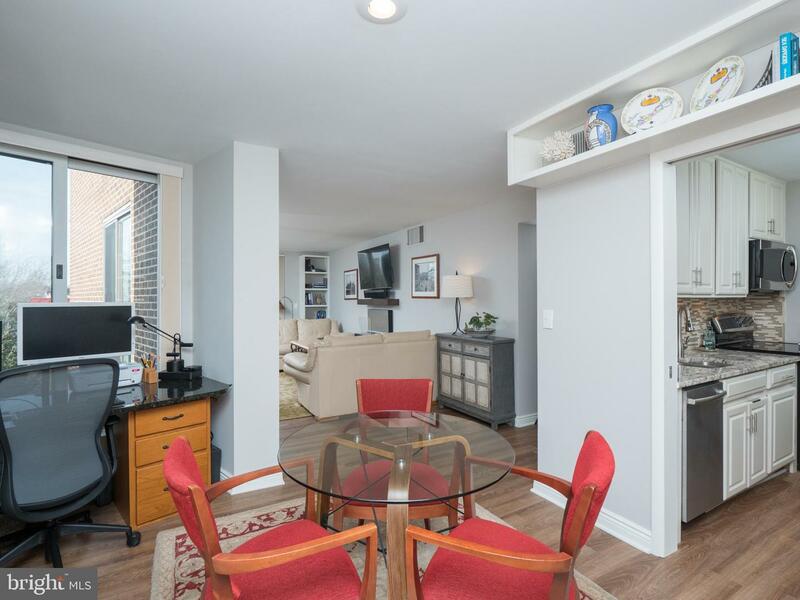 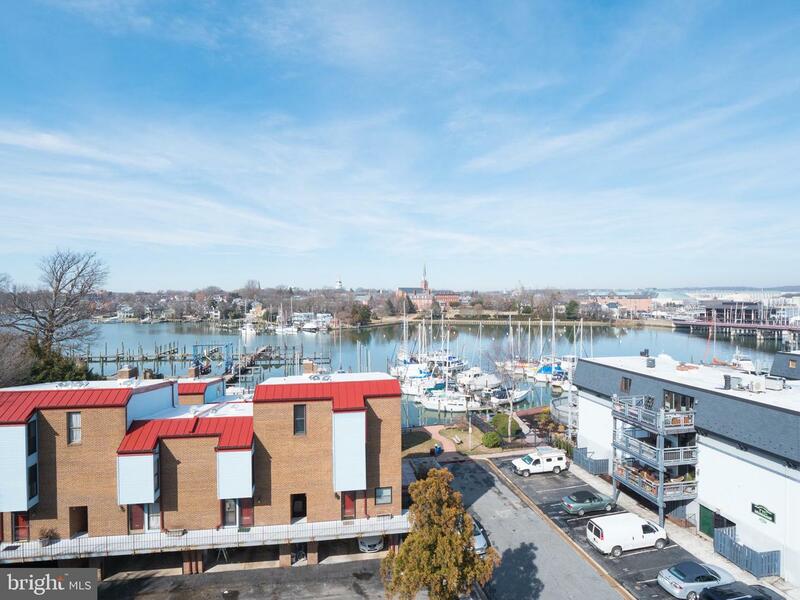 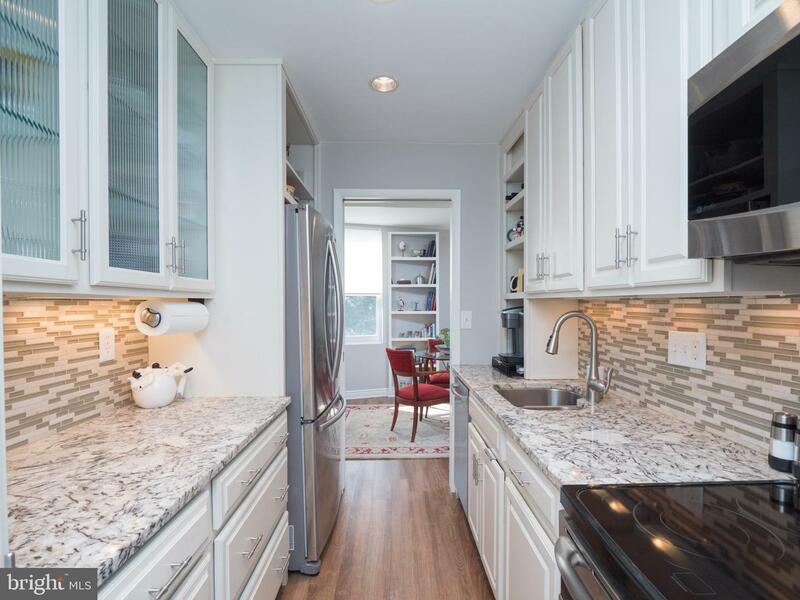 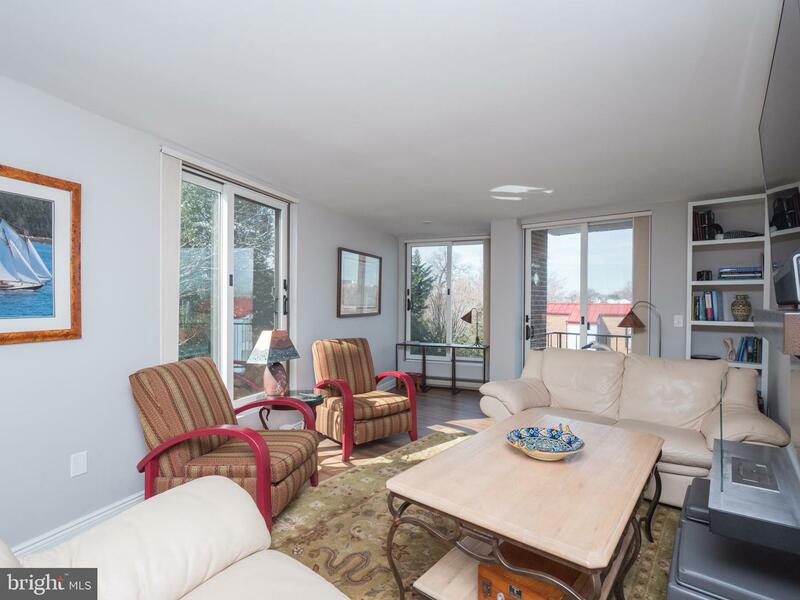 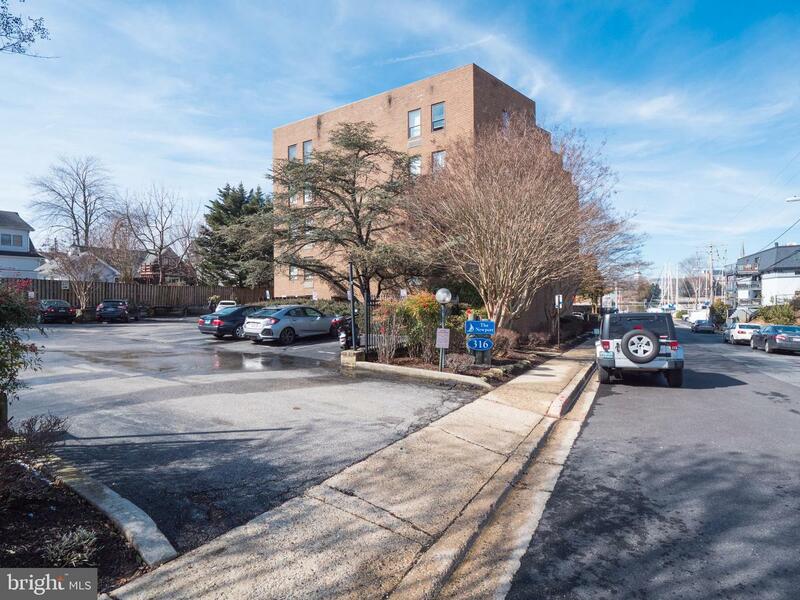 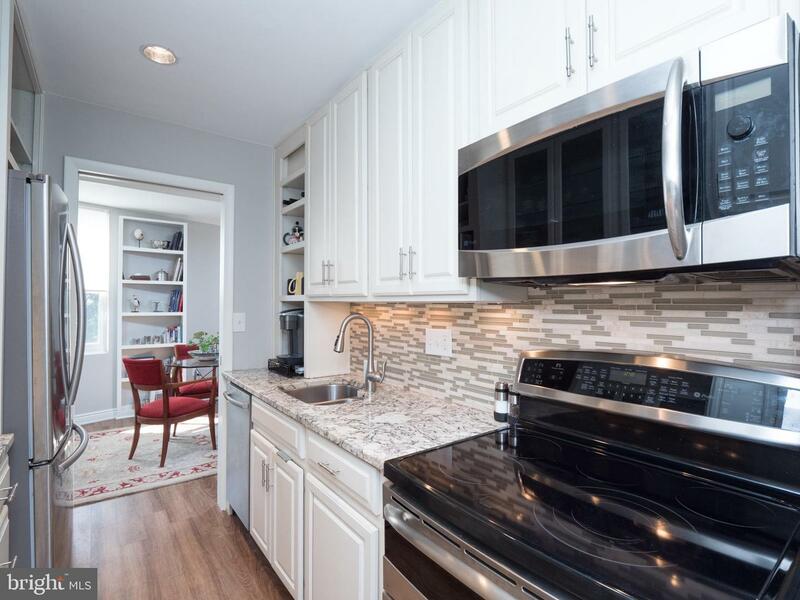 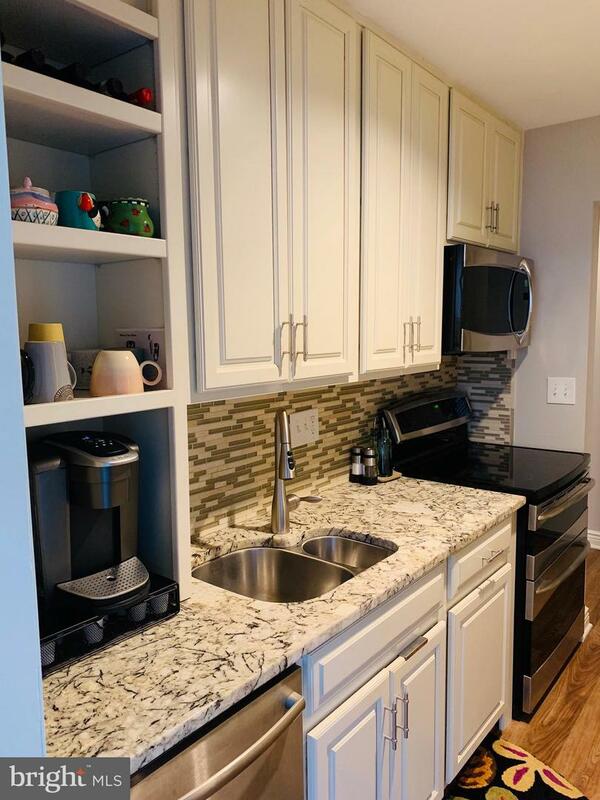 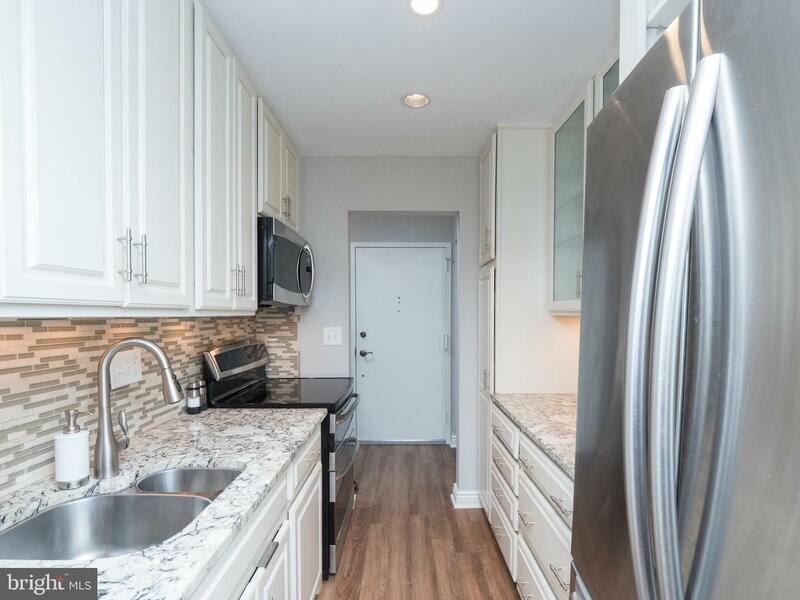 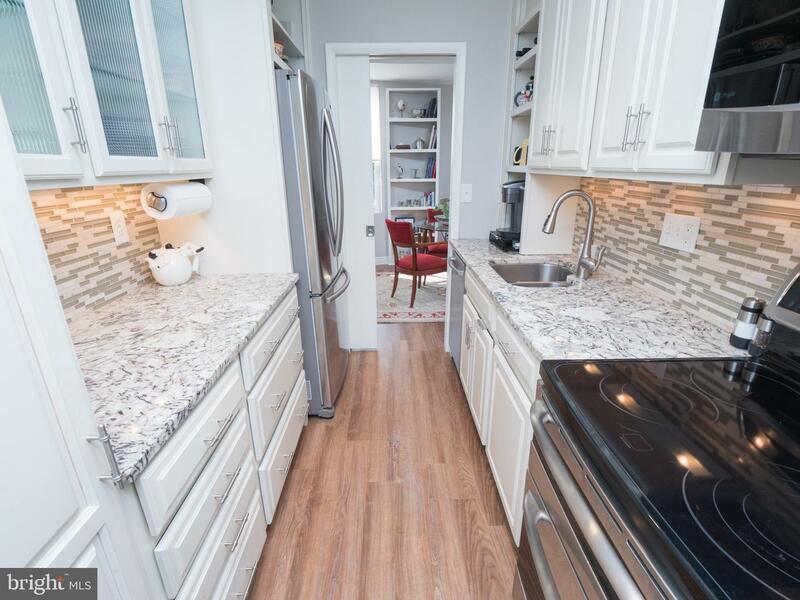 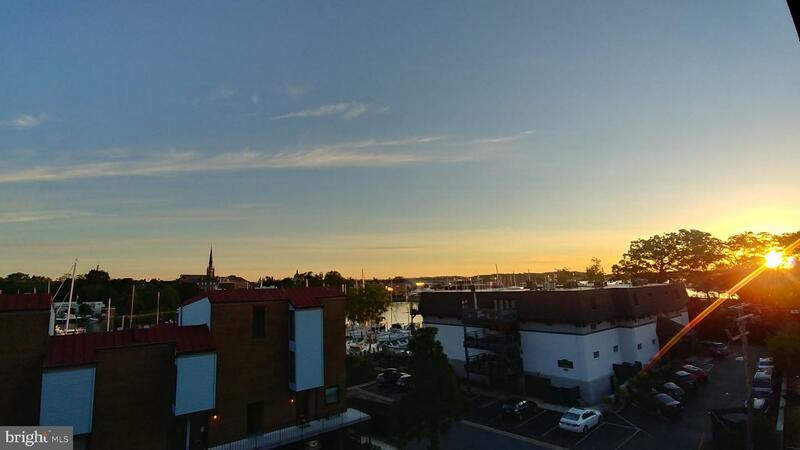 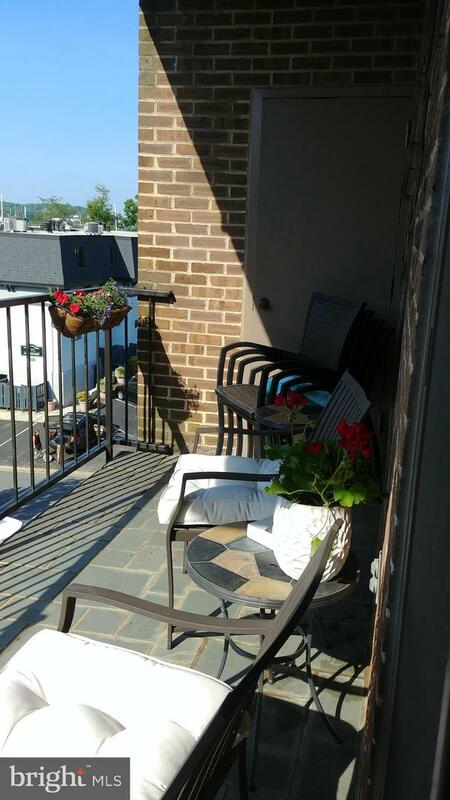 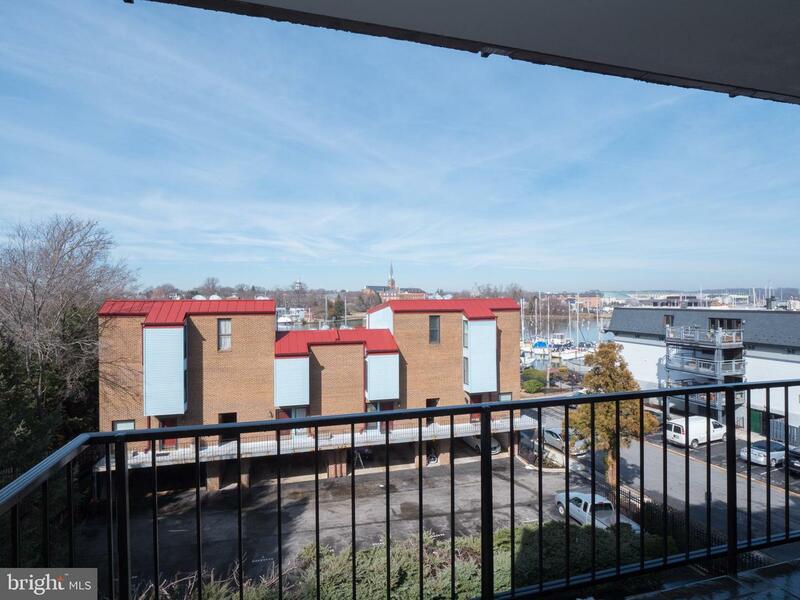 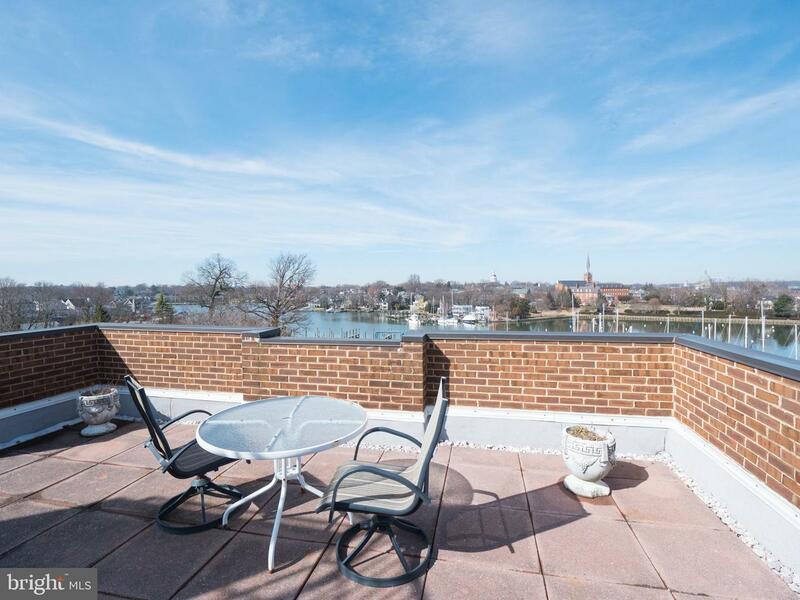 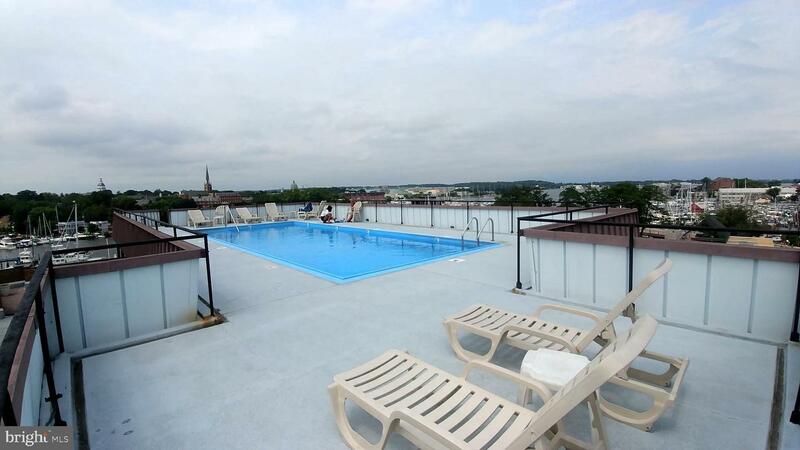 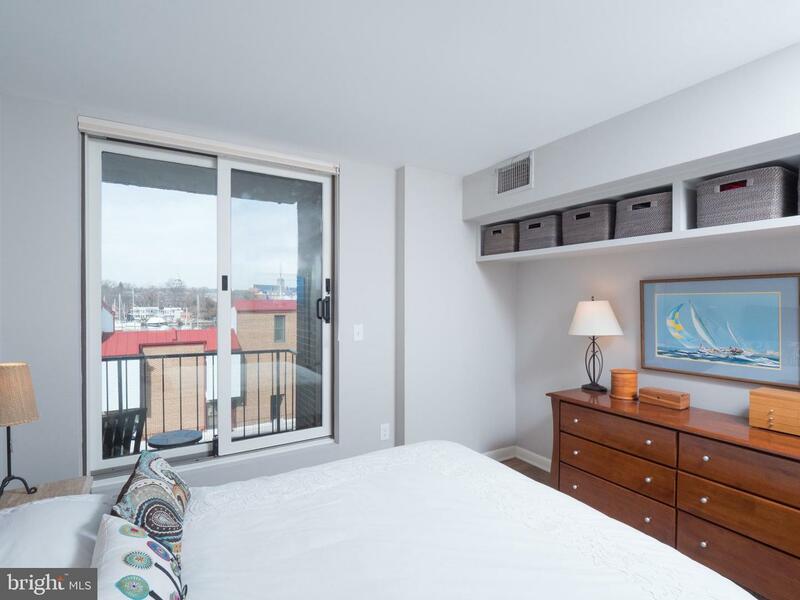 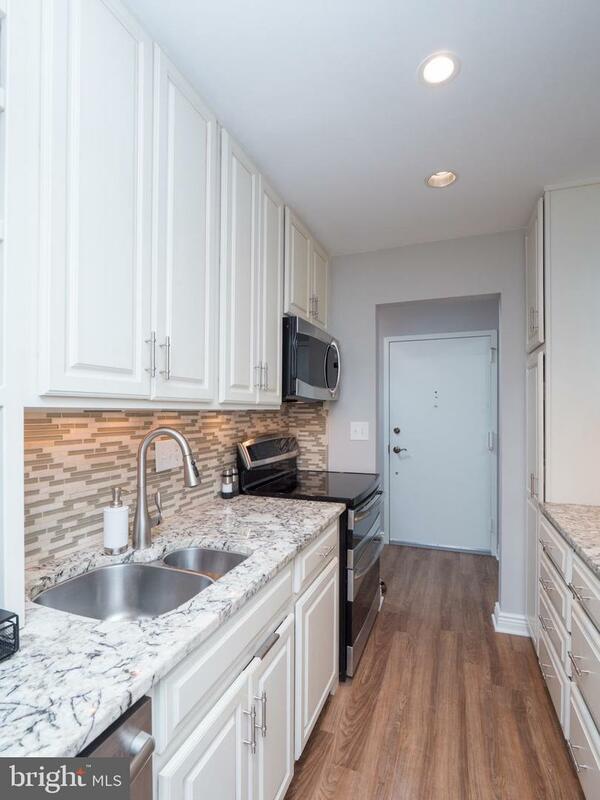 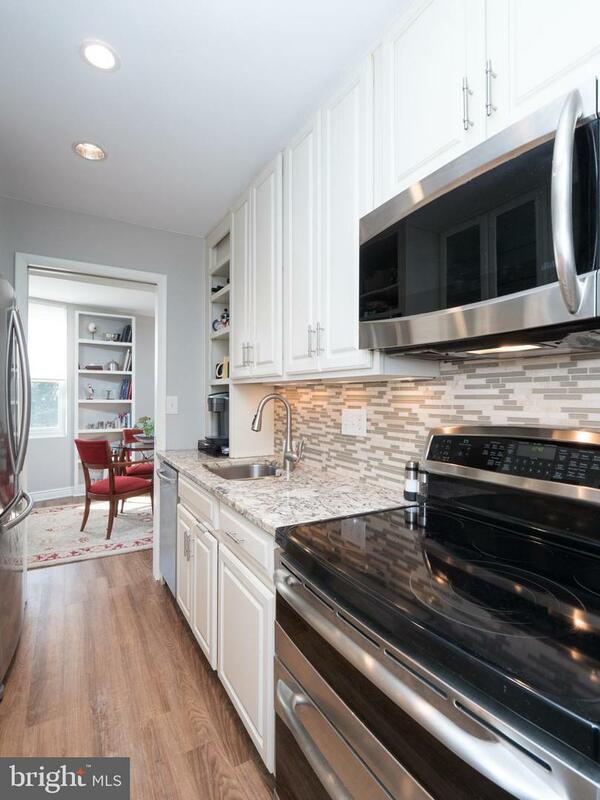 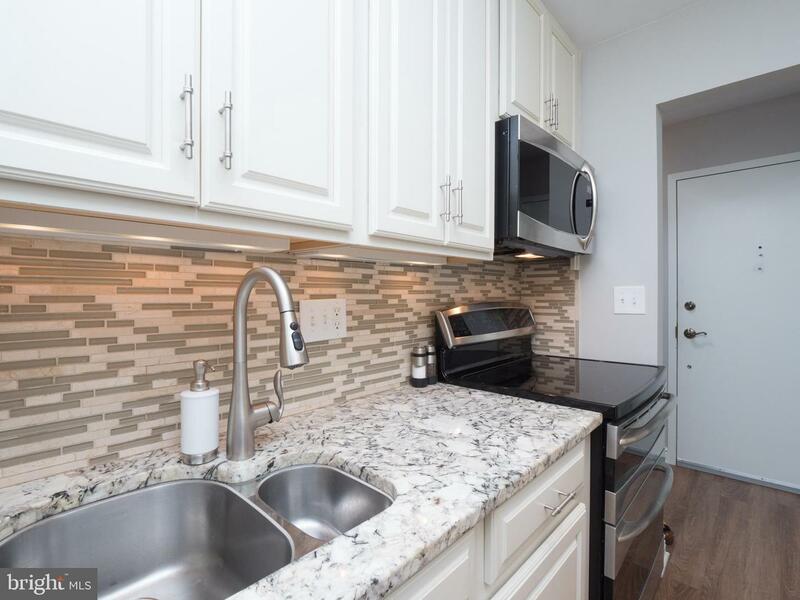 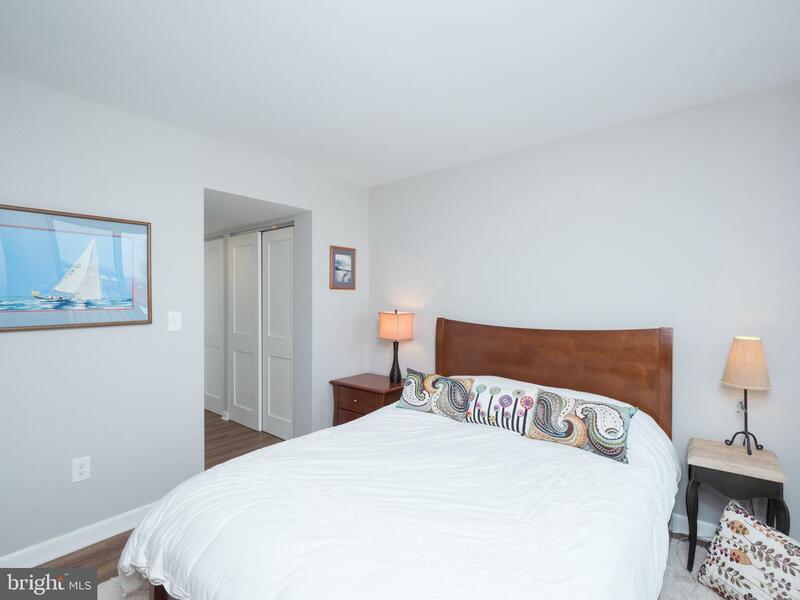 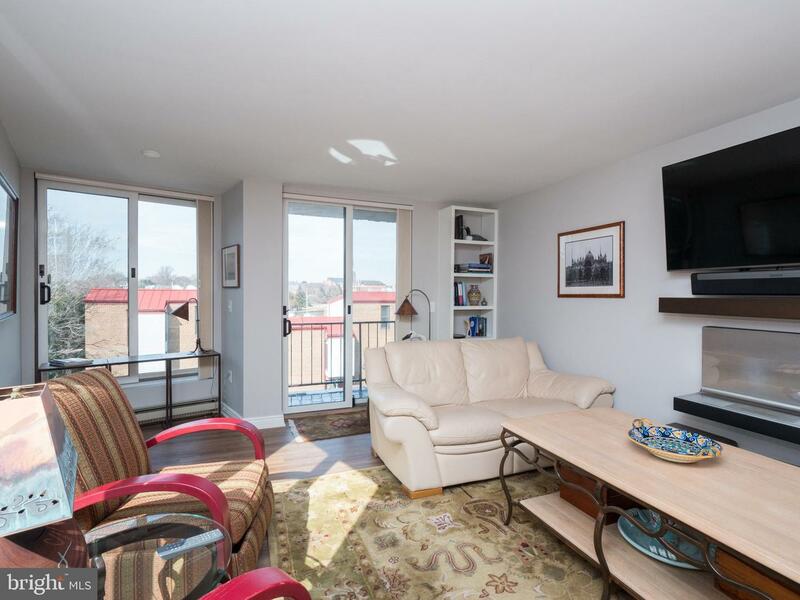 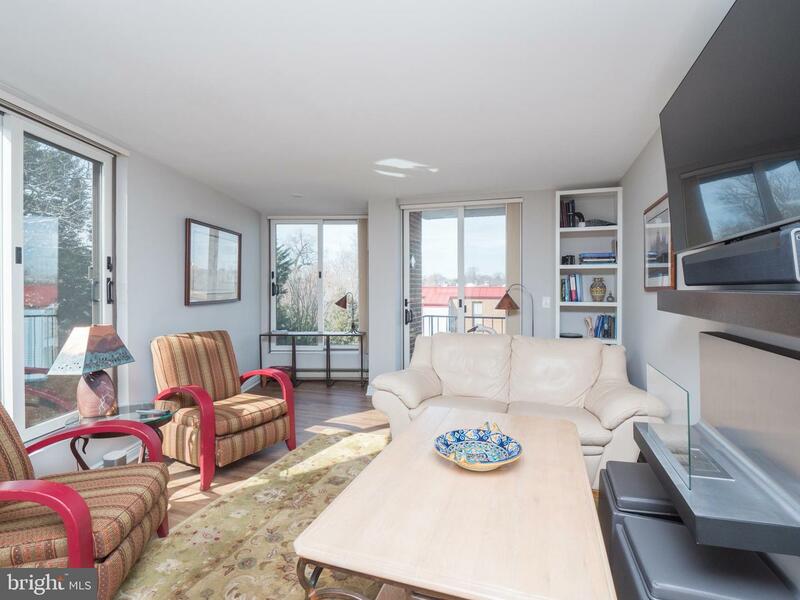 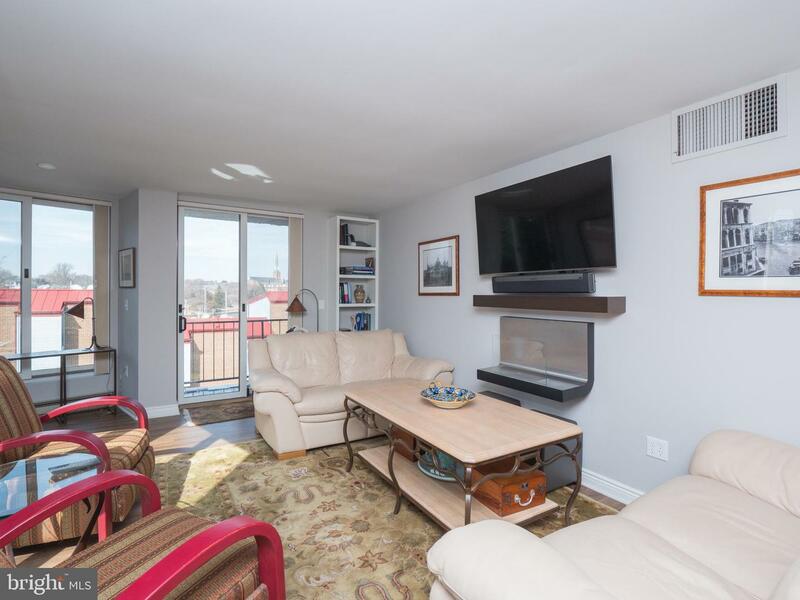 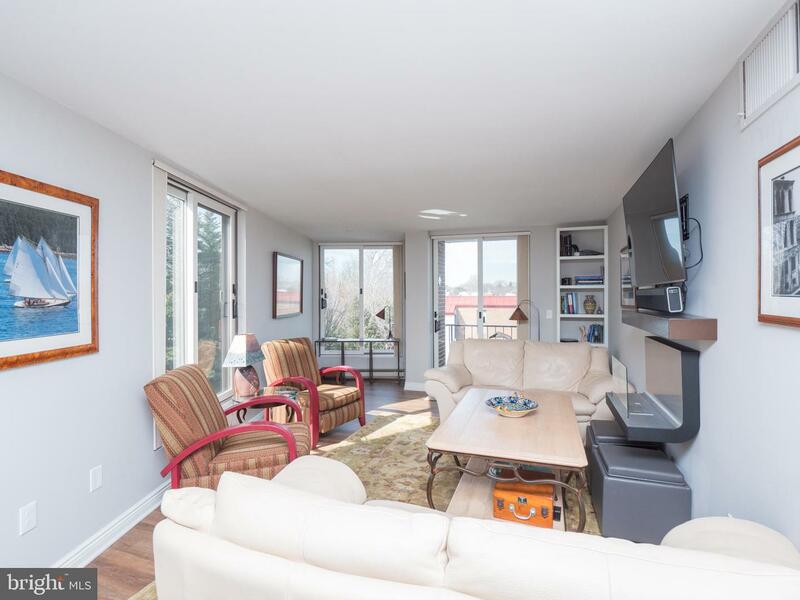 This fourth floor unit has a balcony with views of Spa Creek and the town of Annapolis. 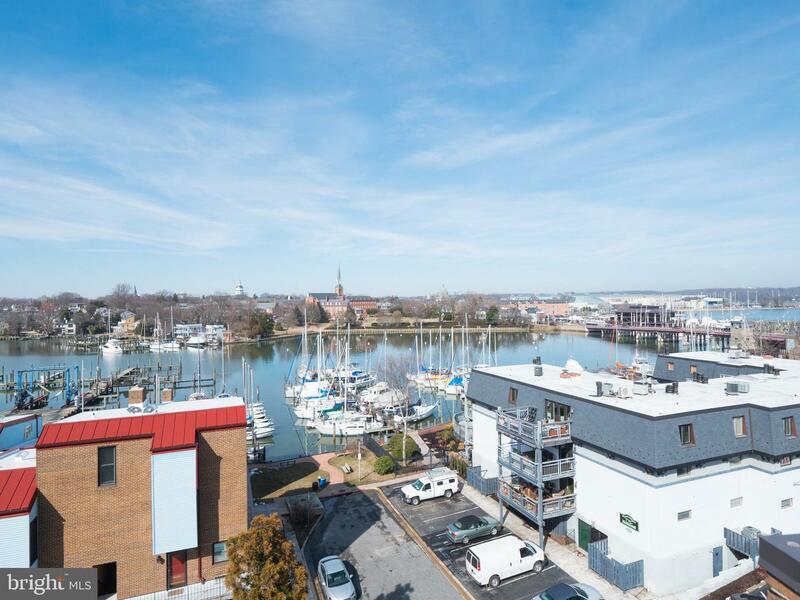 There are only a few units with a water view balcony and a dedicated, proprietary HVAC system. 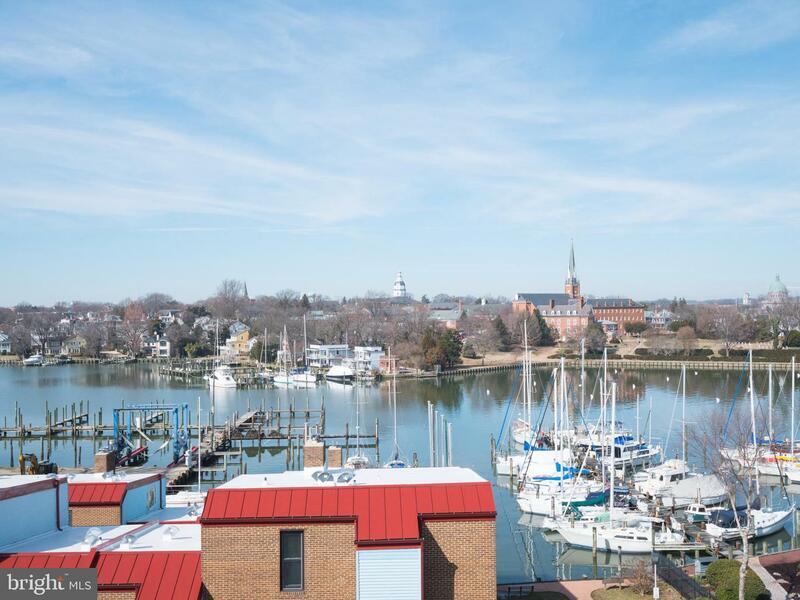 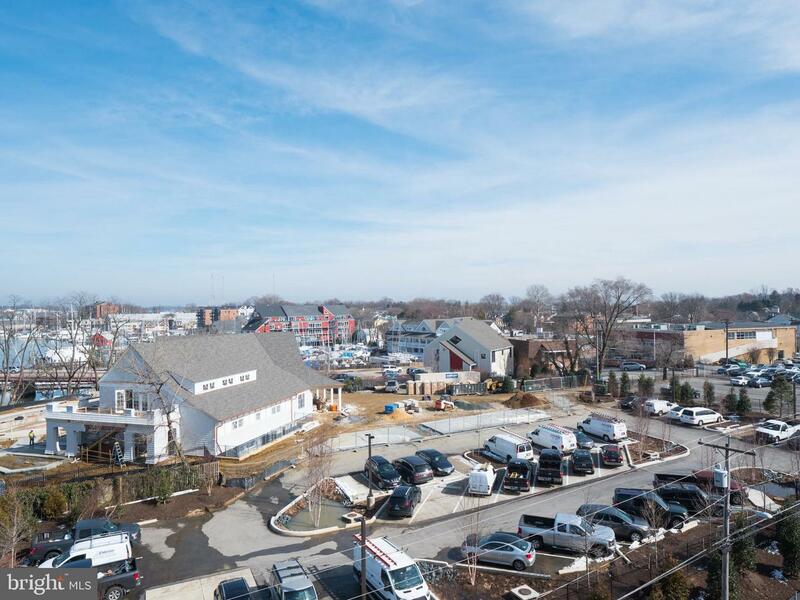 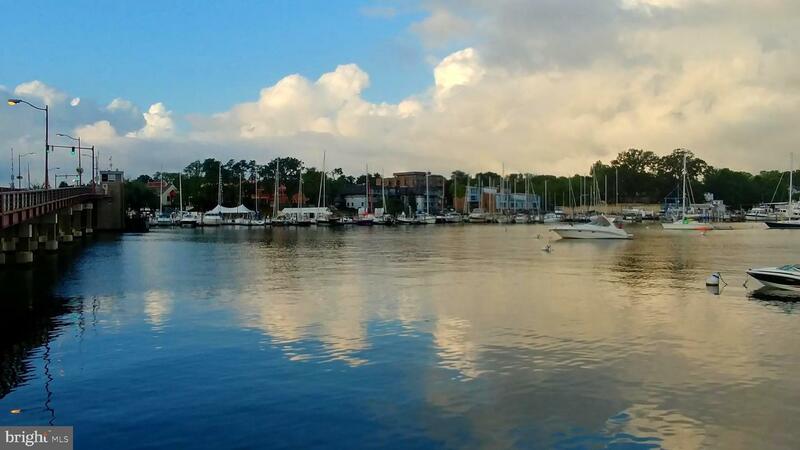 It is a short distance to Eastport restaurants, downtown, Annapolis Yacht Club and across the street from the new AYC expansion. 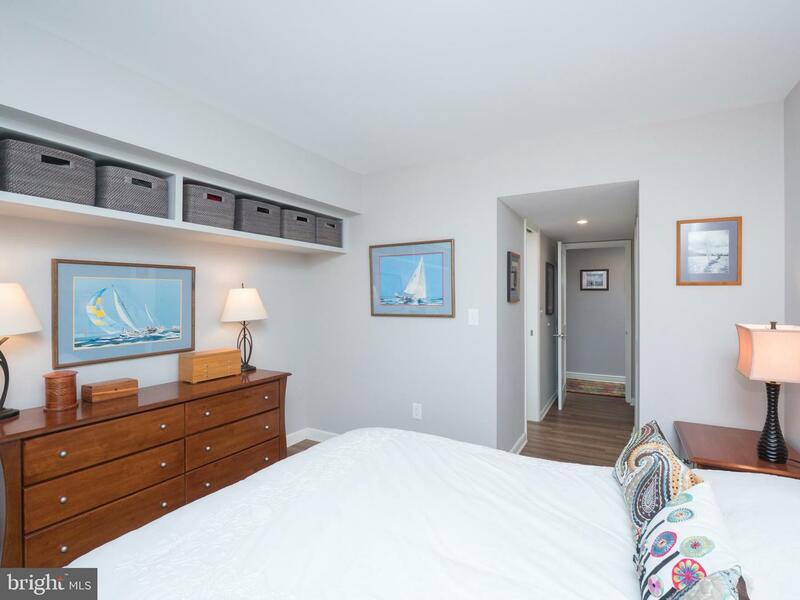 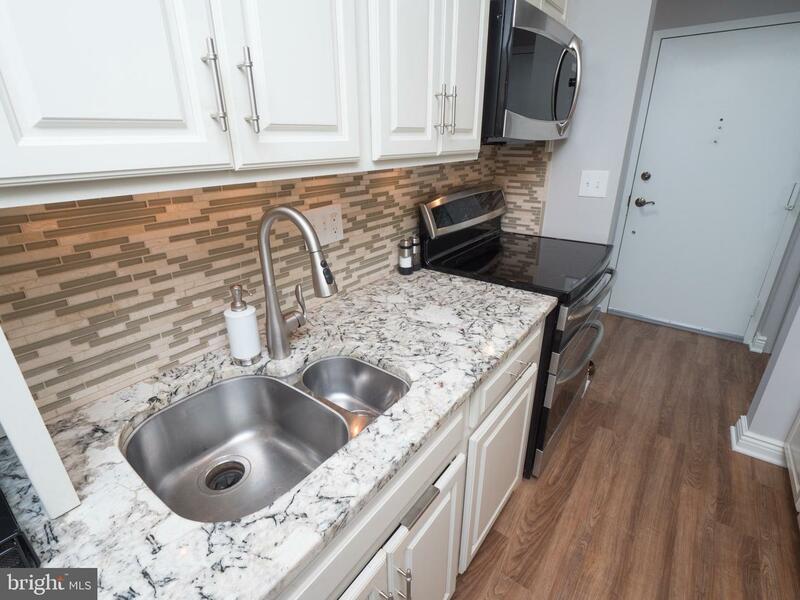 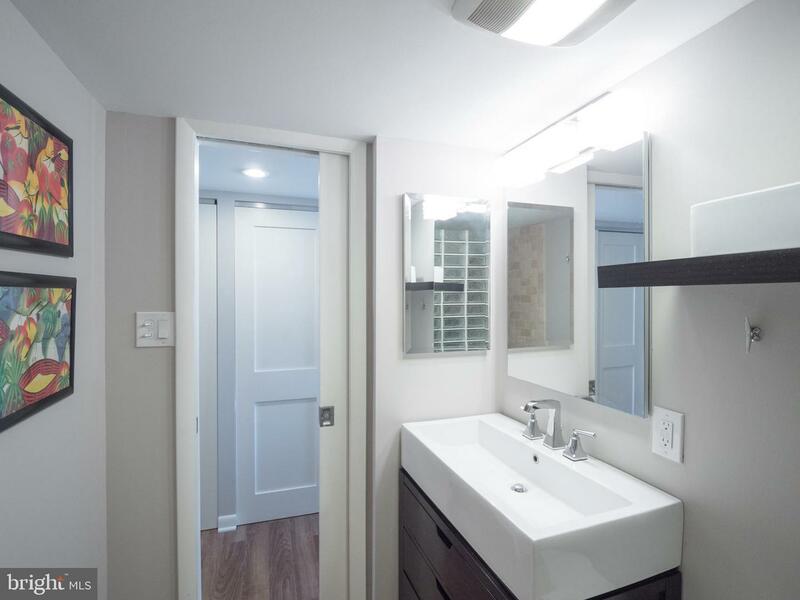 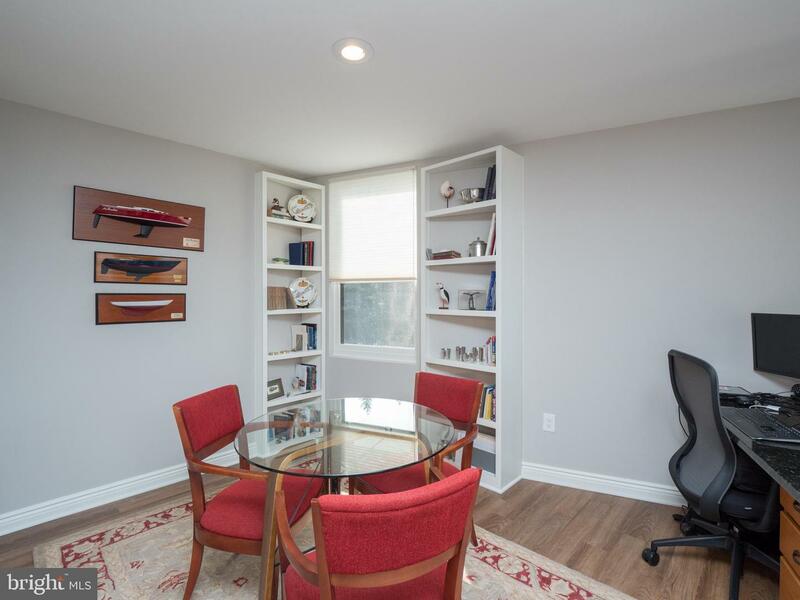 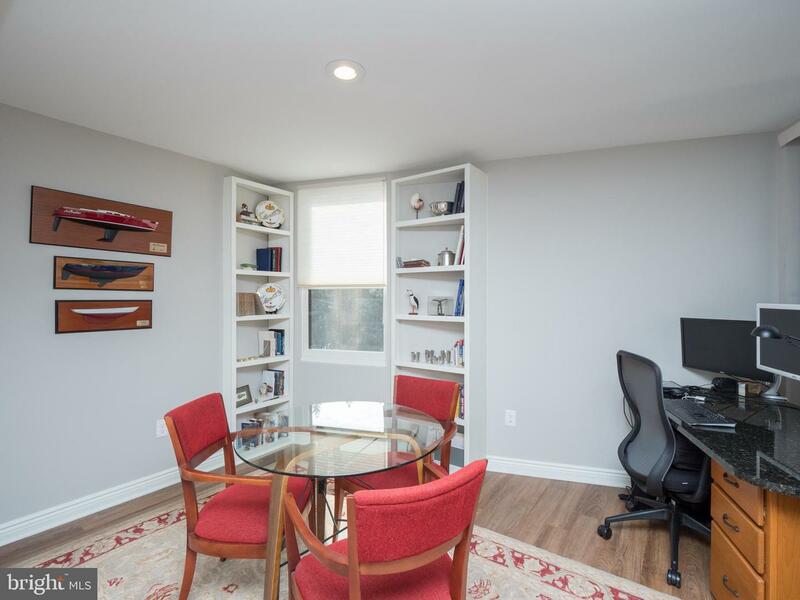 The unit comes with water access and with a small fee and availability, a boat slip on Spa Creek. 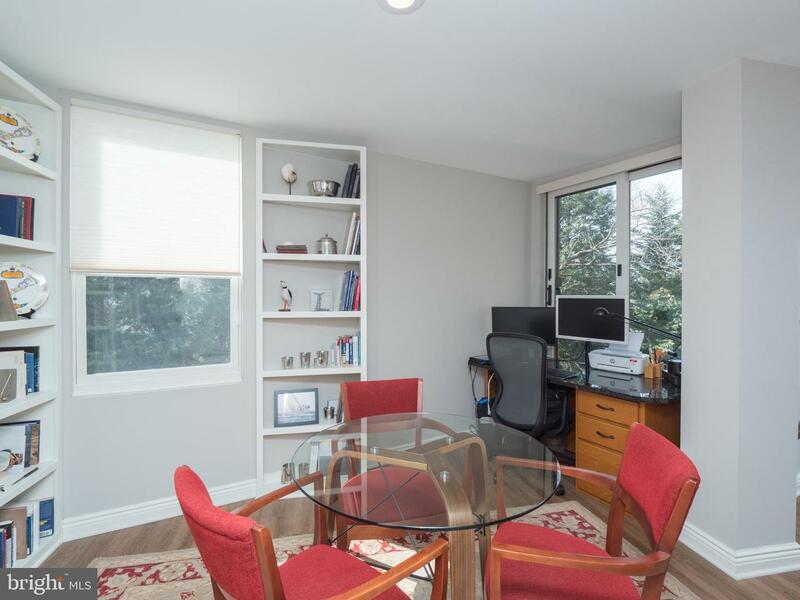 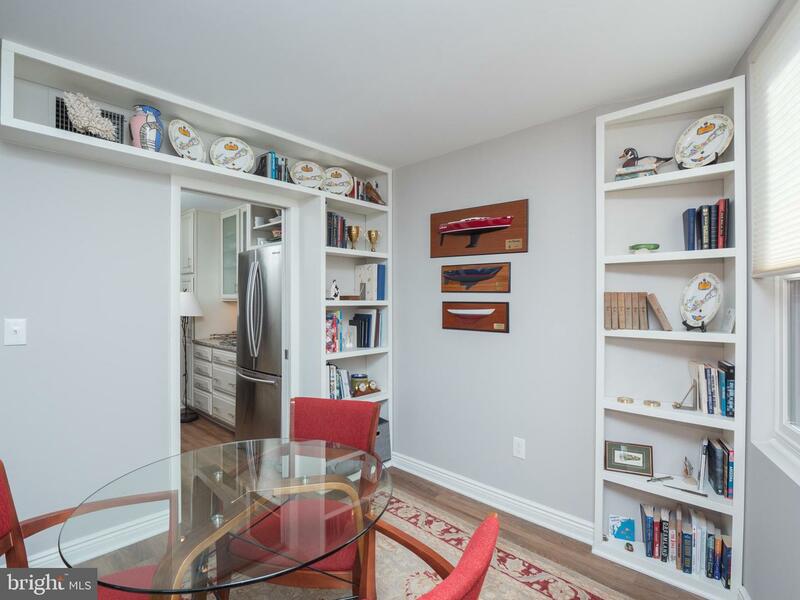 There are numerous upgrades and the owners have expanded and optimized the space beautifully. 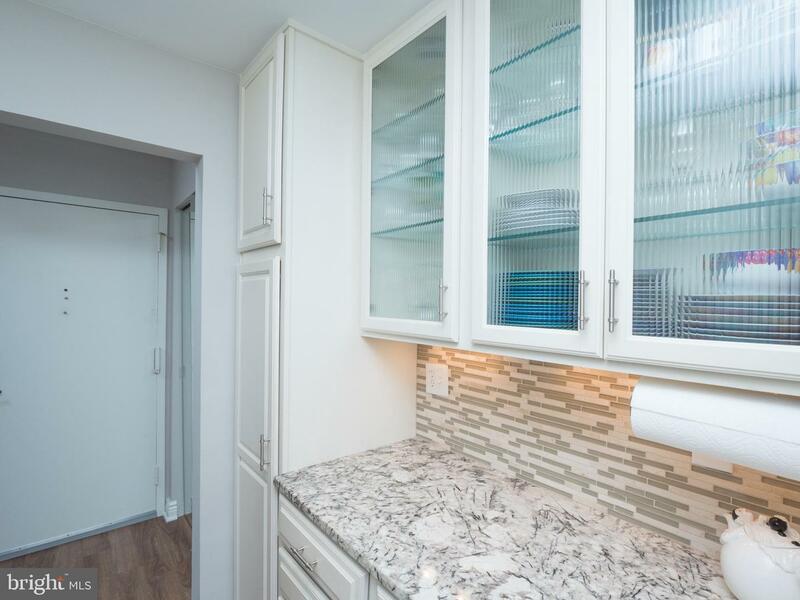 The NEW features include Anderson sliders windows and balcony doors with Hunter Douglas custom window treatments, replacement HVAC components, installation of new ductwork insulation, new lighting fixtures, recessed lighting, solid wood doors on all closets and room entrances, and custom built floor to ceiling book shelves designed to compliment the unique lines of the rooms. 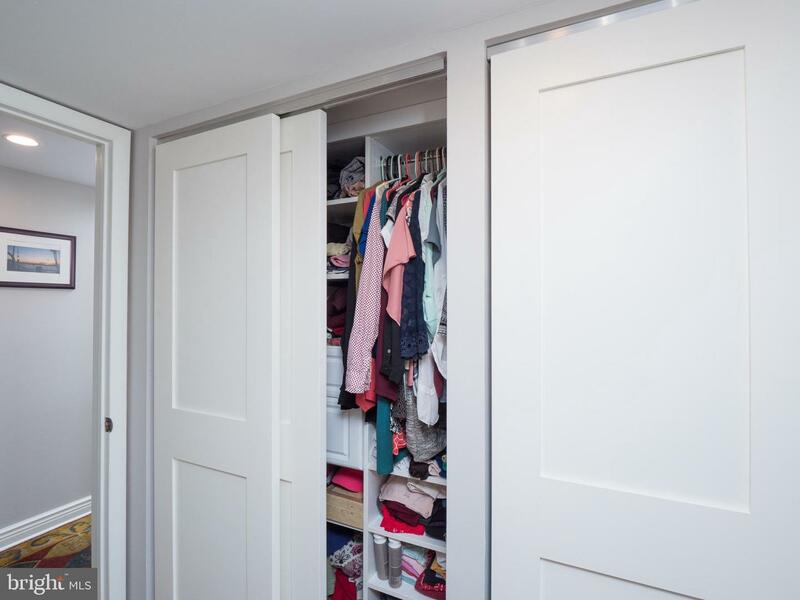 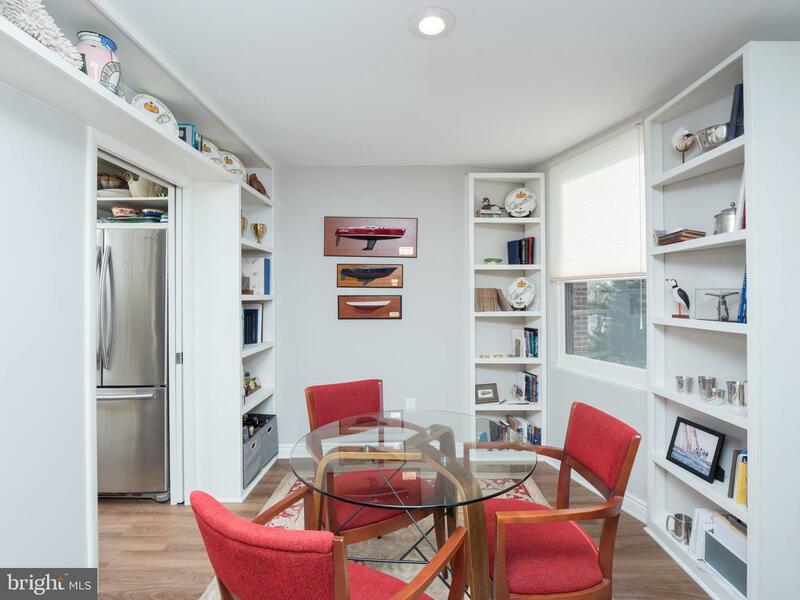 The owners created a pantry space that doubled the storage space of the existing area. 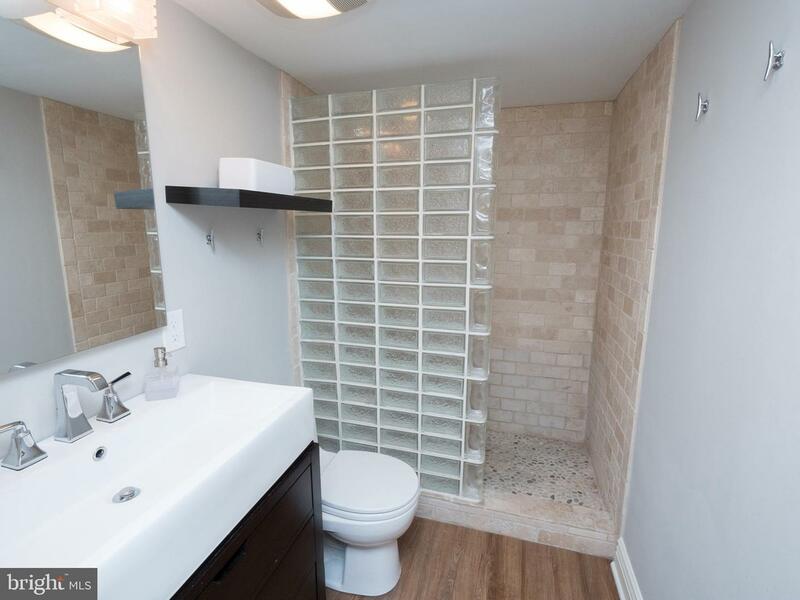 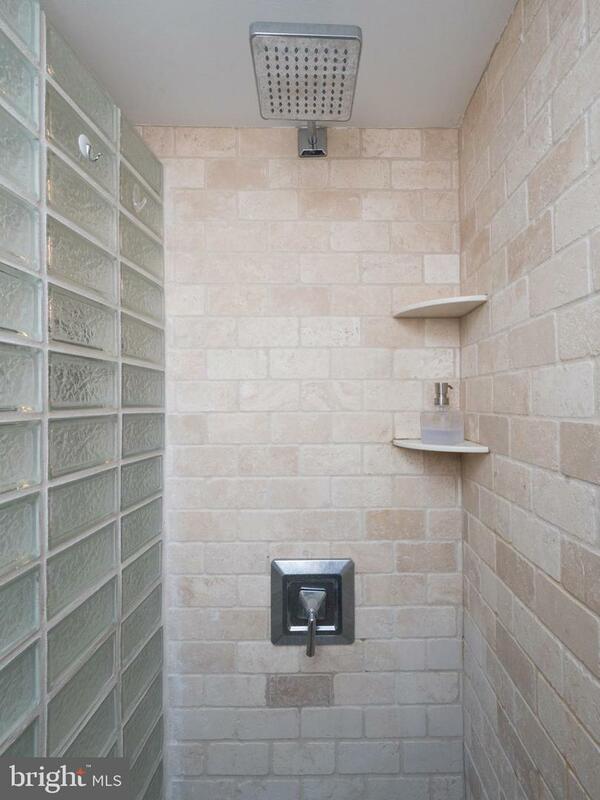 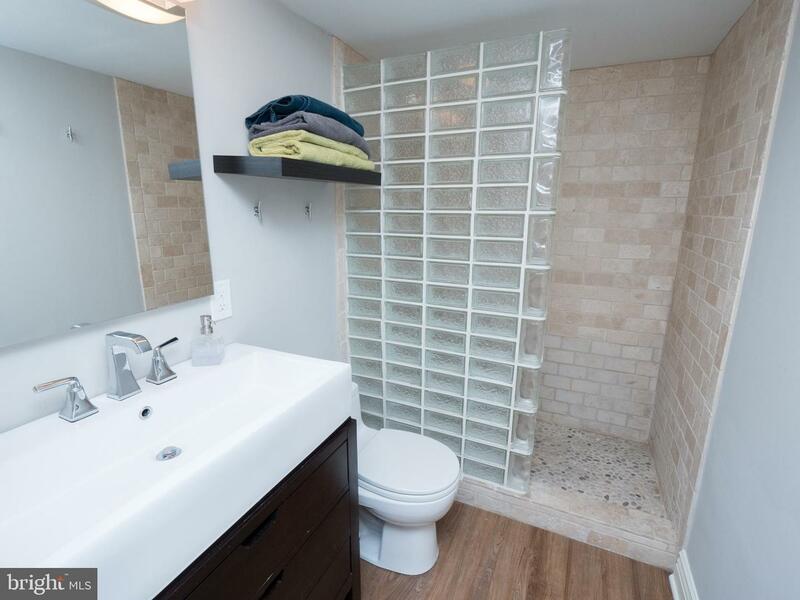 They remodeled the bathroom area to remove the existing tub and installed a new walk-in shower and glass block divider. 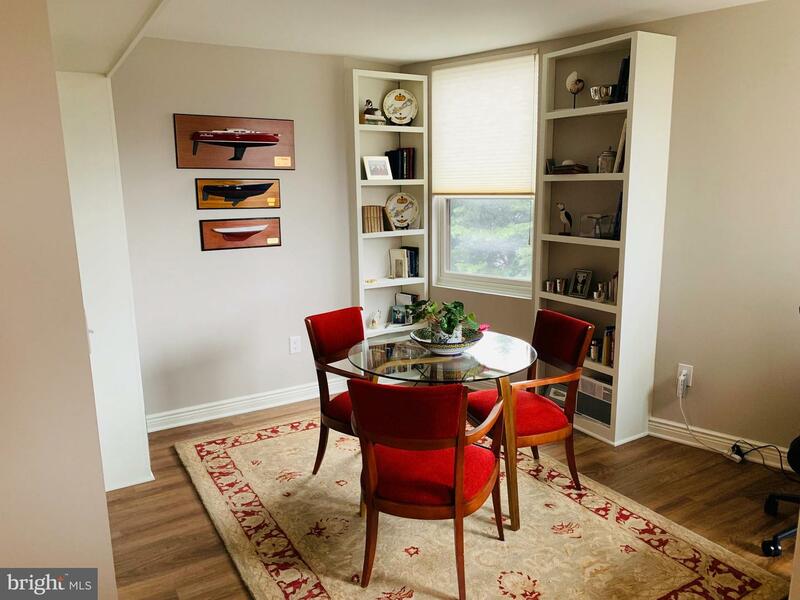 The new designer flooring is manufactured by Coretec Plus in color Dakota Walnut. 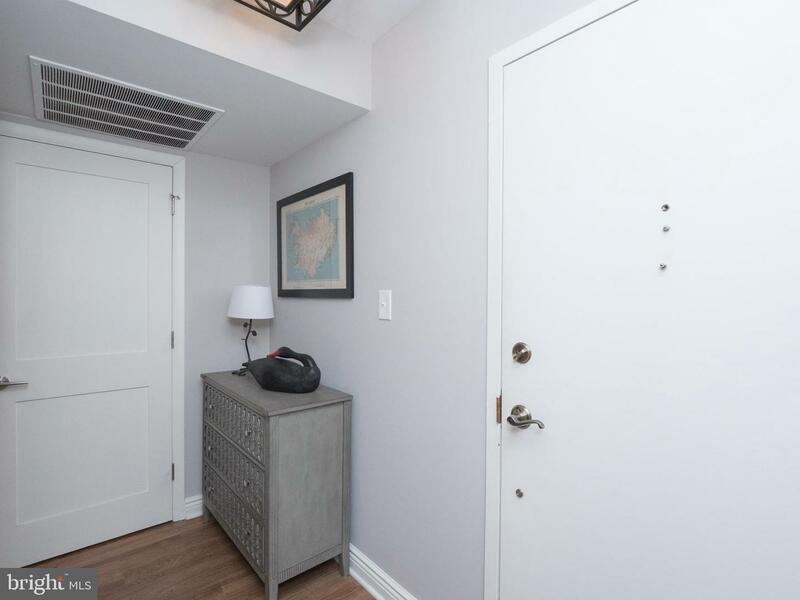 It is a soft grey taupe which complements all color pallets. 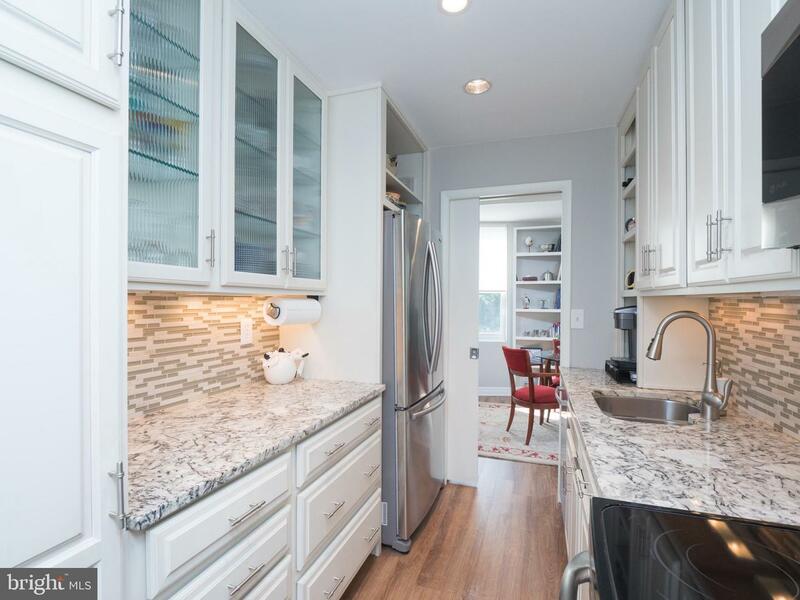 The kitchen includes glass backsplash, granite counters, soft-closed drawers, and unique interior storage compartments. 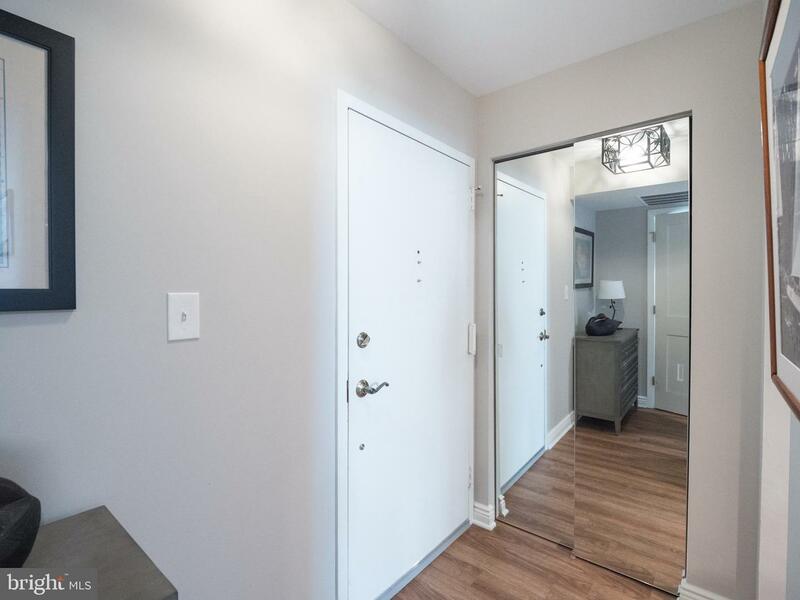 The building is completing the installation of new elevators and the Sellers have completed payments on this special assessment. 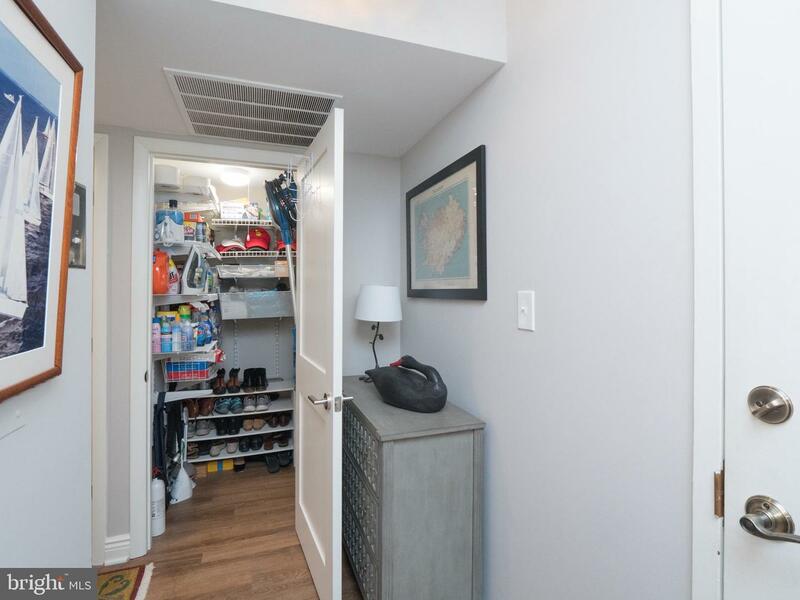 It is truly, ~Move In Ready~. 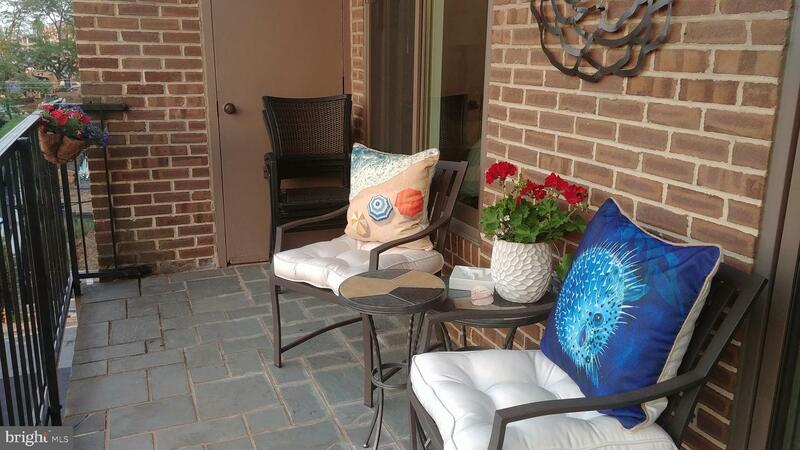 Pets- Cats Only.